Unless you’re just going to keep all your stuff locked in a journal, outside readers are essential to your writing process. A beta reader (or critique partner) is a fellow writer who reads your work and gives you feedback, whether that’s in-line notes, copy edits, an edit letter, or just a chat session about the strengths and weaknesses. But even good writers aren’t born knowing how to critique a novel. When you find a beta reader, you’ll need to make sure that the comments and critiques you’re getting are not only worth your time but are things you want to change in your novel. Here are a few situations where you should—maybe—ignore your beta reader…or find a new one entirely. A good beta reader does a lot, and is flexible and open to discussion if there’s a point you want clarification on. But if you press them for more depth on one comment, only to have them shrink away and take it back, they clearly don’t have a very strong conviction about their assessment of your novel…which is not good news. Your novel needs critique that’s solid and unshakeable—even if it’s not what you want to hear!—and a beta reader who cowers and flip-flops isn’t giving you opinions that are firm enough to be actionable. Everyone loves praise! And one of the things a good critique partner does is point out the strong sides of your novel. But if she’s pointing out the highlights and only the highlights, you’re not getting the critique out of her beta read…which is the whole point. You don’t want a yes-man (or -woman); you want a personable but honest assessment. Writer friends can be a double-edged sword here—they want you to succeed, and may not be able to tell it like it is (or couch it when they do—see above). Hiring a novel editor is an easy way to make sure you’re getting an impartial opinion. Move this line of dialogue to chapter three, cut six sentences here, make your protagonist’s hair red and change her first name to Sylvia, never use the word ‘said’ without an adverb (hint: don’t do that)…sound familiar? A good critique partner shows you problems, but doesn’t solve them FOR you. Just because they’re very specific about how they want you to fix these issues doesn’t mean you have to kick them to the curb: you can choose to ignore their solutions and just work on the problems the solutions are for. Or you can find another CP or beta reader to counterbalance. If they’re getting really nitty-gritty in their line edits, remember, you’re probably better off finding copy-editing mistakes yourself (or, of course, hiring an editor). Unless you’re writing a book for one person, you need more than one beta reader. Ideally, you can find two readers who like your genre and category of book, but have little else in common, so that you get the widest range of takes possible. If you hack and polish and tailor your book to one person’s specifications, it may still fall flat for the next reader…who might be an agent or editor. You don’t have to go crazy—you don’t want to be waiting on sixteen different readers—but at least two is a good start. Is the critique more about YOU than your novel? Are they make cutting, passive-aggressive comments about your publishing track record, career choices, or anything else that’s just not on the page? Even the critique they do give you probably isn’t going to be great. Don’t waste your time. When it comes to accepting critiques of your writing, there are some things that are dead giveaways that the critique might not be up to par. 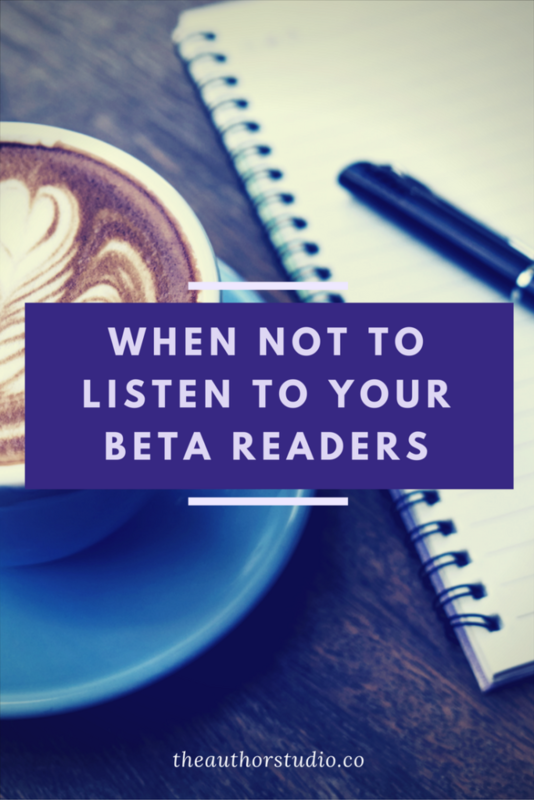 If you’re getting comments with bad grammar, misspelled words (or character names), or sentences that don’t make logical sense…chances are that your beta reader didn’t give you a truly thorough read. Those little mistakes are like the canary in the coal mine: if your crit partner can’t spell on her own, why would you trust her to check the spelling in your book? They’re writing checks their experience can’t cash. If your critique partner is telling you with authority that your book won’t sell because the market is too crowded for YA fantasy, or that you can’t write romance from two POVs because editors are tired of reading it, odds are they don’t know what they’re talking about. It’s great to be up on trends in the publishing industry, but unless your critique partner has recent, relevant industry experience, those are just opinions—not facts. Don’t take career advice from someone who hasn’t worked on that side of the desk! Only a professional editor can accurately assess the conceptual potential of your book.